I think I speak for everyone when I say this has been an exhausting year for us all. The politics. The presidential elections. Not to mention all of the celebrity deaths. I thought last year was bad. 2016 felt like it was having a competition with 2015 on how much more miserable it could make everyone feel. If I were judging, it wouldn’t even be a contest for me. 2016: you win. During these difficult times, I try to find some positive from the year that everyone can take away to make the next year more positively impactful. Most years, they are the movies, because they usually reflect our mindset, where we’re at socially, and where we need to go from here together as a society. This year, however, my point of positive is not the movies (although that is a close second). No, this year, its the people. No matter what we’ve faced this year, there were always people there to help others with the horrible things they were going through. There were Christians that helped the homosexual community after the Orlando nightclub shooting in June. Legal citizens helping their fleeing refugee neighbors from war-torn countries. The Americans that banded together for the ethnic minorities that were targets of many hate crimes during the presidential elections. On and on. My point being, no matter who is triumphing over whom, there will always be a group of people there to hold everyone accountable for their actions. Cries for justice may go unanswered, crimes may go unpunished. But we as a people, for the most part, know the difference between right and wrong. And you can’t ever escape morality, no matter what office you hold or what seat you sit in. These same unnamed heroes are the same people who made the year’s most important stories on the big screen. Perhaps that is why 2016 is one of my least favorite years, but one of my favorite years in film. Before we get into my top 10 list for the year, it’s important for you to understand that I have not seen every movie made this year. I tried. Films that I wanted to see but didn’t get the chance to view included A Monster Calls, La La Land, Silence, Patriots Day, and Fences. What can I say? 2016 is a year filled with movies, but since the other 11 months aren’t close enough to awards season, those filmmakers decide to push those releases to the very end in December next to all the other Holiday releases. Since they’re more concerned about trophies than they are in reaching their audience, they will not be included on this list, even if their films deserve to be. Also, this is my top 10 list. My favorite films. My opinion. You will notice that Rogue One: A Star Wars Story is not included on this list. That is because I saw 10 other films that I enjoyed more than I did Rogue One. That does not lessen or expand upon Rogue One’s success, or the success of many other films. It just means that I liked these movies more. A movie that is not only better than most of today’s animated films, but also better than most of its live-action ones as well. When Kubo (Art Parkinson) is being hunted by his evil grandfather the Moon King (Ralph Fiennes), he enlists in the help of two new friends he’s met along his journey: Monkey (Charlize Theron) and Beetle (Matthew McConaughey). Together, these three embark on an adventure to defeat the Moon King and free Kubo from his clutches forever. Filmed using stop-motion technology, Kubo and the Two Strings feels and breathes of Japanese mythology, its characters talking, fighting, flipping, and moving like the origami figures Kubo loves to craft. The action is also surprisingly exciting, with its fast-moving and acrobatic characters fighting in sequences that are more impressive than most of the year’s live-action films. There is one plot twist that doesn’t fit in with the overall plot, but beyond that, this is an excellent movie. Like Akira and Spirited Away, this is a movie that challenges animated movies and what they can accomplish. If Kubo is anything to go by, they can accomplish a lot. Three and a half stars. A great deep sea adventure and memorable animated odyssey. When the powerful demi-God Maui (Dwayne “The Rock” Johnson) loses an ancient artifact known as the Heart of Te Fiti, he sends the world spiraling into a pit of darkness that is polluting all of the Earth’s crops and lands. But when the ocean picks Moana (Auli’i Cravalho) as the one who will rescue Maui, find the heart of Te Fiti, and restore the planet, she embarks on an epic journey to find the stone, and along the way, herself. Disney outdoes themselves yet again with this one. The animation alone is visually colorful and dynamic, even the waves are so detailed and accurate in their movement that its hard to tell the difference between it and the real ocean. The voice talent is outstanding, with newcomer Auli’i Cravalho surprising us at every turn with her singing and projection. A great throwback to classic Disney adventures and a great tribute to female empowerment. Three and a half stars. Part medical drama, part family drama, part spiritual drama, all human drama. Based on a true story, Miracles From Heaven follows a tight-knit Texas family when their middle daughter is diagnosed with intestinal pseudo-obstruction, a fatal disease that freezes the intestines and makes it nearly impossible to digest food. Now left wondering how something so terrible could happen to a girl so sweet, Christy Beam (Jennifer Garner) is determined to nurse her daughter back to health, no matter how many pills, tests, or doctor visits it takes. Jennifer Garner is a standout in this movie, expressing genuine joy and relief in some moments, while in others demonstrating genuine grief and depression, just like all of the ups and downs a mother would go through with her child. Despite this film being labeled a “Religious” film, it isn’t preaching to the choir, and is considerate and respectful to viewers of all faiths, especially those who don’t believe. Other movies should follow its template if they want to be as impactful and meaningful. Not just a good Christian film, but a great one. Three and a half stars. A unique, compelling, visually spectacular entry into the superhero genre: one of the best. When Stephen Strange (Benedict Cumberbatch) gets into a devastating car accident, he loses the nerves in his hands and his career as a neurosurgeon. When he is told that a monk called the Ancient One (Tilda Swinton) can help him, he traverses to the deep mountains in Nepal to be cured, only to be introduced to a world full of magic and sorcery that he’s only beginning to understand. The visual effects are easily the standout element of this movie, with sorcerers kung-fu fighting each other on constantly shifting walls, windows, pillars, ledges, and anything else that can turn into a kaleidoscope of architecture. Not since Avatar or Inception have the visuals been so sensory that they felt more like an out-of-body experience rather than a cinematic one. Cumberbatch, just as well, plays his role with charisma and gravitas, making his character feel more tragically Shakespearean rather than larger-than-life. A great moviegoing experience that shows our titular character not as a superhero, but as a man, fatally egotistical, selfish, eccentric, ignorant, and most of all, flawed. Four stars. A surprisingly meaningful animated sequel that is every bit as good as its predecessor. Taking place years after the events of Finding Nemo, Dory (Ellen DeGeneres) suddenly remembers her parents and her life before meeting Marlin (Albert Brooks) and Nemo (Hayden Rolence). Now determined to reunite with her parents, Dory, Marlin, and Nemo embark on yet another journey across the ocean to find Dory’s family. 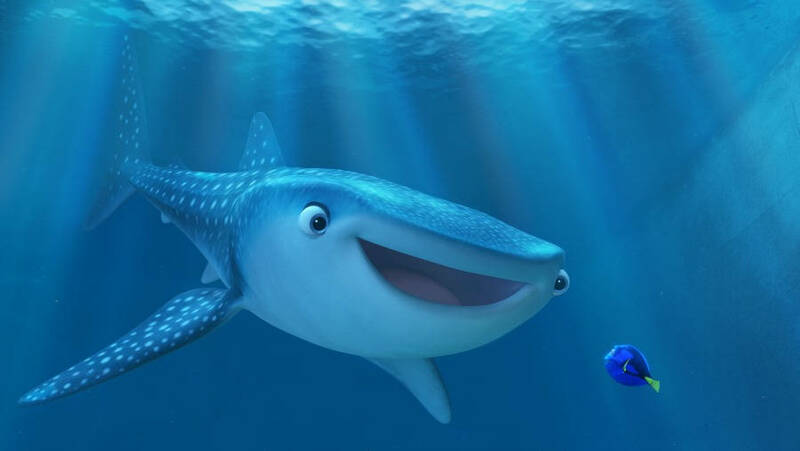 With Finding Nemo writer-director Andrew Stanton returning to once again helm this oceanic odyssey, Finding Dory displays a fine understanding of everyone’s favorite forgetful fish. So fine, in fact, that this movie truly stands on its own, needing almost no support from its previous entry. From its animation to its screenplay, Finding Dory is a smart homage to its origins, but also a funny, unique, and emotional roller coaster of a film that stands very well on its own two feet (well, fins). Four stars. An intense, immersive experience that makes the best use out of its limited premise. When a team of professional thieves decide to rob the home of a retired blind veteran, they think its an easy job. But when one thing happens after another, they realize this veteran is not all that he seems, and soon they’re the ones fearing for their lives. This cat-and-mouse invasion thriller is excellently paced and tightly edited, with director Fede Alvarez making the best use of his environments and with how characters react to shocking revelations. He also makes great use of sound space, with the most tense moments often being the most silent. The cast is convincing in their roles, and Stephen Lang demonstrates the full capacity of his skills as this spine-chilling, creepy, yet sympathetic veteran desperate for the things that he’s lost. A creative, captivating thriller that is as unconventional as it is unpredictable. Four stars. A unique and riveting action film that seeks to honor its real-life subjects by showing us exactly what they went through. Mark Wahlberg stars in this adaptation of the 2010 BP oil spill directed by Peter Berg (Friday Night Lights, Lone Survivor), and he handles this subject with delicate treatment of the events and for the real-life figures involved in the tragedy. Berg connects us to the crew members’ humanity before ominously foreshadowing to their dreary fates beyond the spewing oil, the collapsing metal frames, the wild fires, and the empty sea gallows looming beneath them. This is a movie that completely understands what the real-life crew members were up against, and they bring you every detail of that disaster with nerve-wrecking alertness and urgency. The PG-13 rating is deceiving. Definitely do not bring your children. Four stars. A science-fiction drama that starts out as one thing, only to slowly transform into another. When aliens land on multiple places at once on Earth, the U.S. army enlists in the help of Louise Banks (Amy Adams), a linguist who is notable for her translation of thousands of languages on the planet. As she investigates deeper into the reasons why the aliens are there, she makes a discovery that will change the course of the human species forever. Smartly crafted from the mind of director Denis Villenueve (Prisoners, Sicario), Arrival is an intelligent observation of the extraterrestrial, how humans react to the unknown and how they build and learn foreign communication. Adams is a powerhouse as the lead, a hero who is intelligent, vulnerable, yet persistent in doing what she has to do. Smart, emotional, and leaving you with plenty to think about long after you’ve left the movie theater, Arrival is a science-fiction experience that you simply must see. The twist near the end will guarantee have your jaw dropping. Four stars. The best MCU movie to be made to date. When the United Nations decides that the Avengers are too dangerous to be left unchecked, the team is split into two factions. Captain America (Chris Evans) believes that the team should be allowed to continue to operate freely without interference. Iron Man (Robert Downey Jr.) thinks that the team needs to be held accountable in some way, shape or form. As tensions between the two sides rise, the team eventually collapses and comes to blows with each other, never to leave them the same again. A film as politically-charged as it is fast-paced, fun, and exciting, Captain America: Civil War is unique in the superhero genre in that there is no black-and-white sense of morality. No established sense of right and wrong in the picture, just characters whose ideals and values clash violently with each other. What’s left is an unconventional masterpiece, a moral dilemma packaged as a superhero blockbuster that excites us just as much as it challenges us. Chadwick Boseman and Tom Holland shine in their breakout roles as Black Panther and Spider-Man. Four stars. A powerful, emboldening film, one that does not shortchange the horror of war, but equally does not shortchange the power of belief either. Hacksaw Ridge is based on the incredible true story of Desmond Doss, a WWII combat medic who saved over 75 soldiers during the battle of Okinawa. Most impressively, he did it armed without a single weapon. Directed by Mel Gibson, who is a master at epic filmmaking with Braveheart and Passion of the Christ, Hacksaw Ridge pulls emotion out of you to the point where you don’t feel like you’re watching a movie anymore, and are instead completely immersed in its harsh, uncompromised reality. Andrew Garfield equally commits to this uncompromising role, showing how his character is scared, frightened, yet earnest and determined all the same. I can’t praise this movie enough. Hacksaw Ridge does more than strengthen the soldier’s spirit. It strengthens the human spirit. Four stars. And now for my special prize. For those of you that don’t know, every year I award a special prize to a limited release that not many people heard of, but nonetheless deserves to be sought out just like any blockbuster out there. This year’s selection was difficult, because for the longest time, I debated if this film should be placed as my number one in my list over Hacksaw Ridge. I eventually decided that its achievement places itself at a higher, more important caliber than a top ten list. So I decided to give it the appropriate award for its uniqueness. An urgent, important, and timely film that presses the viewer not to understand its characters by their race or sexuality, but by their personal experiences that mold them into the men that they become. Broken up into three parts, Moonlight follows a young man growing up in an ugly urban neighborhood that doesn’t care much about the people who live in it. As he is hit with one childhood trauma after another, we watch as they shape him into the man that he grows up to become, with all of his flaws, scars, and burdens on his shoulders intact. A great movie that hits on many important issues, Moonlight absorbs great performances from Trevante Rhodes, Ashton Sanders, and even child actor Alex Hibbert, who surprisingly keeps up with the outstanding talent surrounding him. Barry Jenkins, who hasn’t made a film in eight years, comes back center stage with a film that is technically immaculate, creatively shot, and emotionally absorbing. It is a personal, astounding film that shows while a person may be scarred, hurt, maybe even broken, they are no less beautiful because of it. I can’t make it any simpler than this. If you can only see one movie from this year, make it Moonlight. And that’s my list, folks. Here’s to leaving 2016 behind, and looking forward to making 2017 better.